Koula and Garf promote Bike Month on NPR. Koula Redmond of Bike Jax and Garf Cooper of Zen Cog got everyone geared up for Bike Month in May as featured guests on First Coast Connect with Melissa Ross. 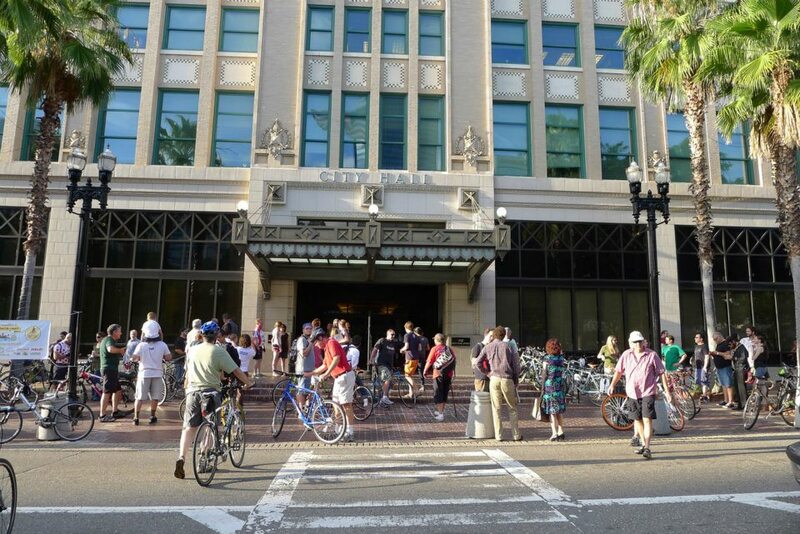 They discussed Bike Month in general, discussed Jacksonville’s poor reputation regarding cyclists and pedestrians, promoted BikeJax and the RAM Ride, and also helped get the public pumped for the Mayor Bike event. Thank you so much, you two, for not being too shy to speak on the radio, and for doing all that you do for this community! Last minute touches with Kickstand Katie. 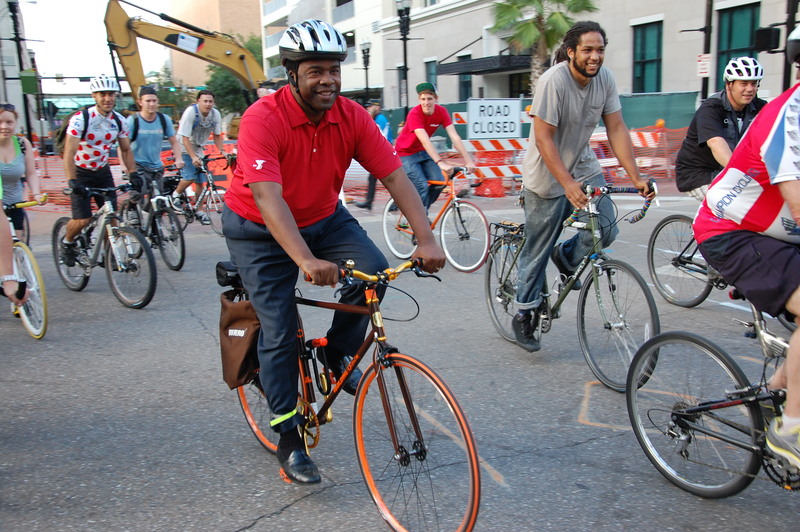 Mayor Alvin Brown leads a ride of about 100 cyclists downtown. He did a short loop, but it was fun and hopefully raised awareness for cyclists. 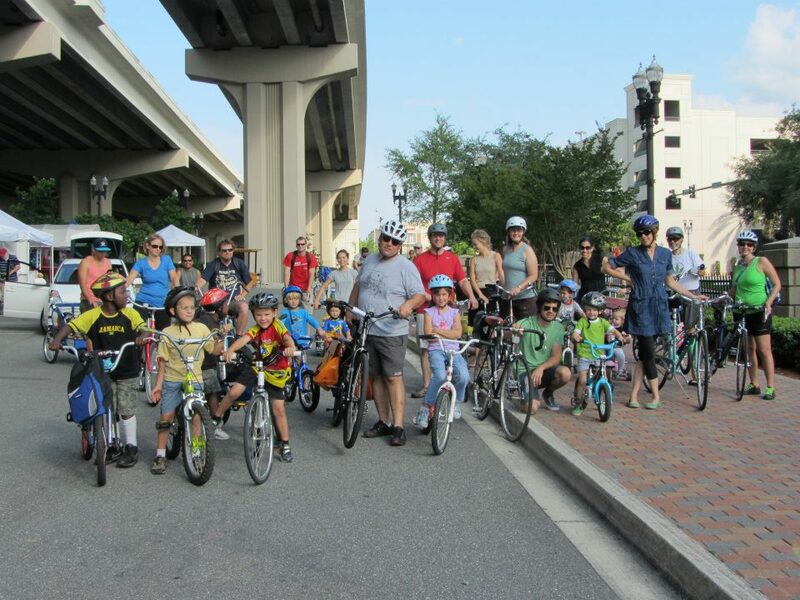 Jacksonville’s Bike Month in May kicked off perfectly with a big to-do shin dig, right in the heart of downtown – A Bicycle for the City of Jacksonville! 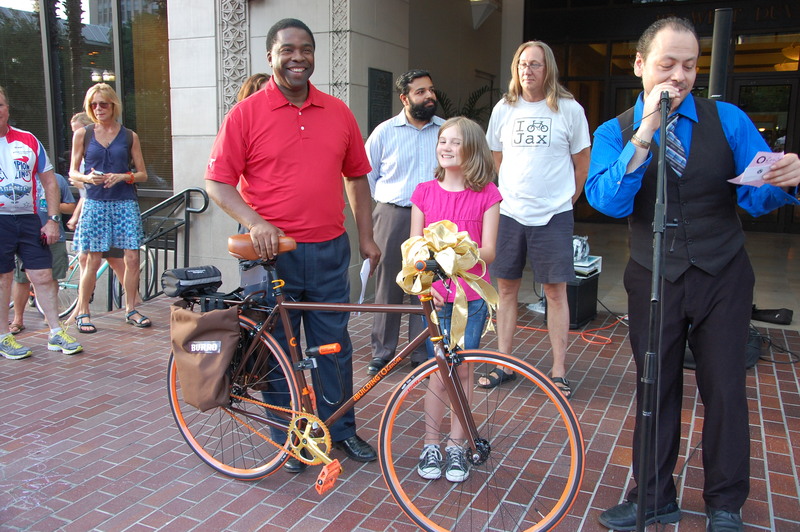 During Art Walk, tons of pedestrians and cyclists gathered ’round the front steps of City Hall to celebrate the gifting of a gorgeous custom bicycle for the Mayor’s staff to ride and enjoy. The bicycle was custom built by Shaun Wilson and Garf Cooper of Zen Cog and Building Bicycles. The color scheme harkened that of the city’s official colors – (which we assumed to be) orange, brown, and gold. It’s a single speed with custom panniers by Chris Williams of Burro Bags, a saddle bag from Charlie Fetzer of Lakeshore Schwinn, an orange wheel set from Velocity, a bike plate that says “RIDE BIKES” by Angela of Personalized Bike Plates, sweet gold accents including the handle bars and crank set, excellent Zen Cog handlebar grips, and a comfy saddle fit for a Mayor. We had other generous donors, including Christopher Burns Attorney at Law, Intuition Ale Works, e2Ride Bike Tours, Bike Jax, Sun Ray Cinema, City Cycle, Kickbacks, and Silkscreams Print Shop. Thank you to all who donated time, money, materials, and effort to help the JBC out with all this! I am especially proud of, and have an overwhelming amount of warm fuzzies for all the JBC members who played such a huge roll with this endeavor, as well as other endeavors in the past. Though normally shy about giving speeches in front of large audiences, Goliath Flores obliged us by doing so at this event, and he did such a great job. We’re so proud of you, my friend! The concept behind this project was, indeed, the brainchild of Goliath himself. In fact, it was conceived during our very first JBC Brainstorm back in July or August of last year. The idea behind gifting the city a bicycle in a very public way is in the hopes it will plant a seed within the minds of those who are not accustomed to bicycles. 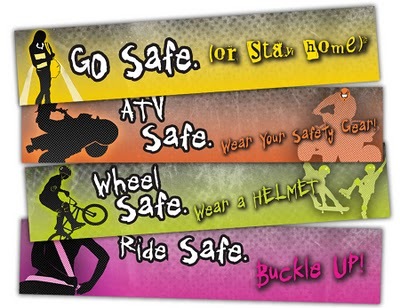 One of our missions within the JBC is to educate the public in ways that will help them grasp the whole concept of cyclists and pedestrians on our roadways. If they see someone who is generally pretty well loved, well known, and respected, riding a bicycle, such as our current Mayor, they may be more inclined to respect cyclists as a whole, seeing us as human beings rather than as mere obstacles. For a more detailed description of the purpose behind the Mayor’s Bike, please read my previous post: Dear A.G. Gancarski of Folioweekly. Corey Callahan was the man behind the Ghost Bike Educational Campaign sprinkled all around the more frequented areas of downtown. The campaign was completed in time for Art Walk and consisted of several youth bikes painted white with signs attached explaining what a ghost bike is and the importance of driving safely, especially within neighborhoods, school zones and bus stops, and other areas with high bicycle and foot traffic. A marketing campaign of this nature piques interest, is difficult to walk past without feeling the need to find out what it is, and ultimately pulls at the heartstrings of some of the more car-centric passersby. Additionally, such a campaign is usually much more effective than that of a printed or web-based campaign. Though controversial in the eyes of those who have strong affiliations with true ghost bikes and the riders they represent, ultimately, Corey’s intention is to honor the fallen riders of our past and help preserve more lives in the future here in the third most dangerous city in the nation for cyclists and pedestrians. Father Jeff blessed us all, including our trusty steeds. God bless you, Father. Lots of cyclists attended the Blessing of the Bikes ride, hosted by the good folks of RAM Ride, Garf Cooper and Rachel Trinklein, with extra tons of help from Hayley Zeller. 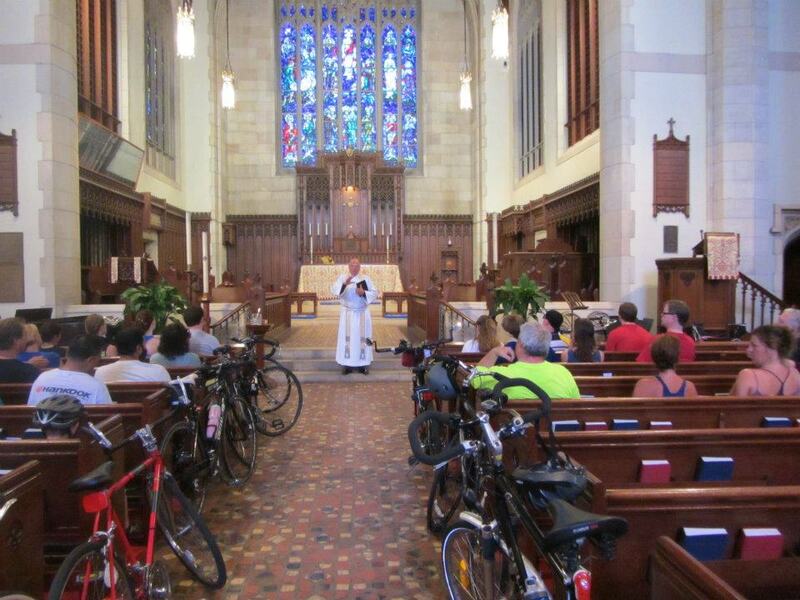 We launched from the Riverside Arts Market and headed over to Good Shepherd in Riverside where Father Jeff read a few passages which pertained to transportation and then proceeded with the blessing, holy water and all. The passages and notes Father Jeff chose to read were very touching. This event was an especially significant experience for me and I appreciate the efforts of all those involved in making it happen during Bike Month. The Jacksonville chapter of Safe Routes to School organized a huge project with local children to create PSA’s regarding bike safety. Later on, they had a screening of these videos in San Marco – The Safe Routes to School Student Video Viewing Party. I really really regret having missed this one, but I’m very sure it was a huge success! Great work to all the adults and kids involved! 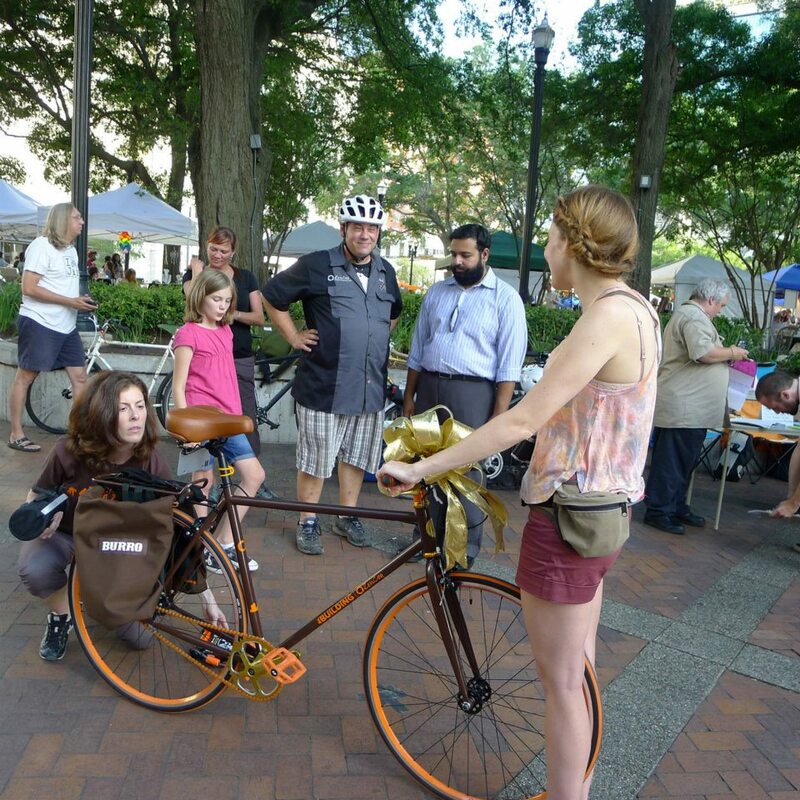 Join RAM Ride every Saturday morning at Riverside Arts Market, 8:30am. Always kid-friendly and always a blast! The RAM Ride folks pulled off another successful group ride during Bike Month. The theme of the ride this time was Kidical Mass. This ride consisted of lots of kids riding bikes with their parents or guardians, serving as a Critical Mass ride for the kids. Every Saturday, individuals and families can enjoy RAM Ride which serves to raise awareness of the fact that bicycles are a child’s only means of personal transport, all while having tons of fun in a relaxing social setting. 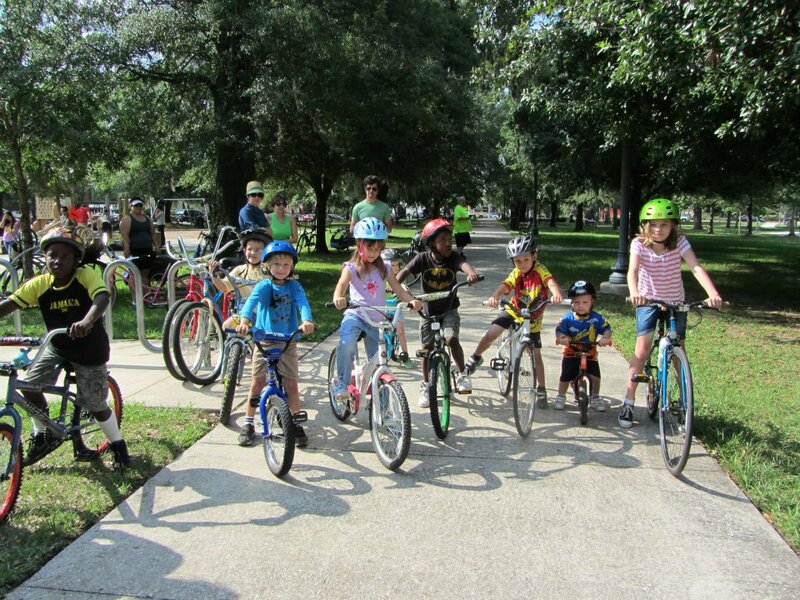 Everyone had a blast during Kidical Mass and are hoping to host another one in the near future! Moms with their families at our first stop, Bagel Love. Cathy’s Mom certainly wasn’t afraid of a few rain drops. Mother’s Day, which also happened to fall on the same day as the CycloFemme World-Wide Ride for Women, had a special ride just for the mommies. 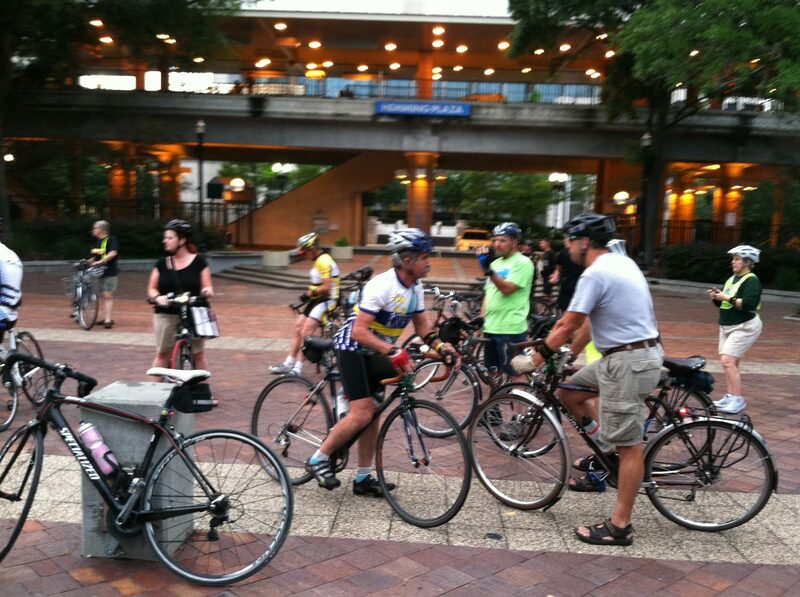 Jenny Kubicki hosted this ride and had a decent turnout considering the skies were a constant wet threat to our fun. Near the end of the ride, we did get sprinkled on, but we otherwise had a really good time. It was fun to hand out roses to all the mothers on the ride during our pit stop at Bagel Love. We also stopped at a beautiful little park in Ortega where the kids got off their bikes and ran around a bit. Gotta love seeing kids playing outside and far far away from their TV sets, computers, video games, iPhones, iPads, and iDunnowhatelses. Happy Mother’s Day, ladies! 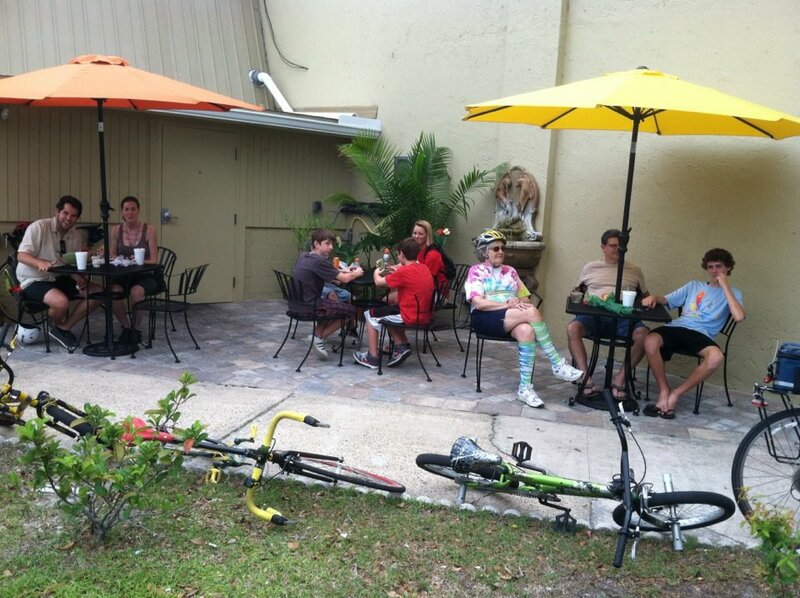 The Tour de Durbin Crossing also took place on Mother’s Day, and was hosted by the North Florida Bicycle Club. The ride launched from Veterans Park in NW St, Johns County. From i-295, South on San Jose 5 miles, East (left) on Race Track 4 miles, South (Right) on Veterans Parkway 1.2 miles. Most of the ride had bike lanes or shoulders approaching bike lane width with miles of well landscaped roads. I’m bettin’ it was pretty beautiful. Goliath entertains a huge audience as usual, this time presenting bikey-good stories. Next time, he’ll be presenting his musical genius. 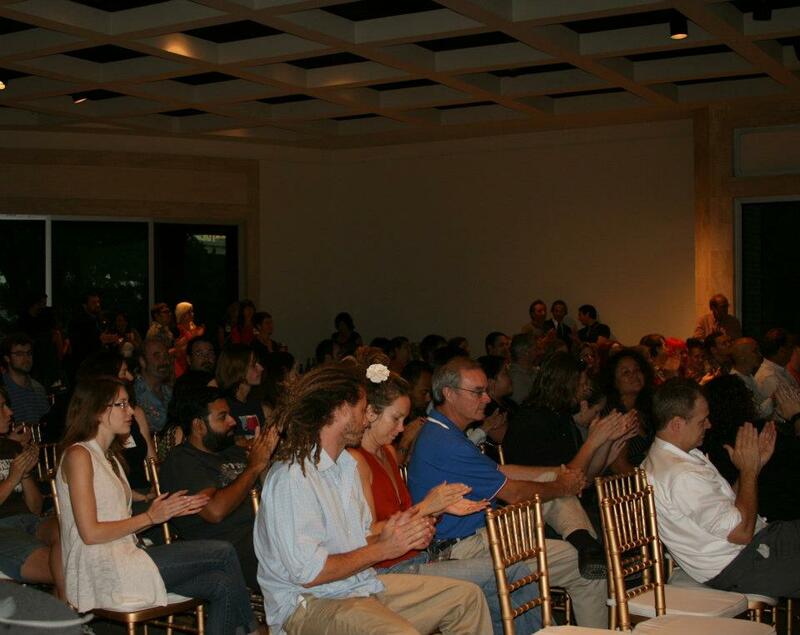 The public had the privilege of enjoying Pecha Kucha 19 (pronounced “pee-chA . koo-chA”… gazunteight!) which was conveniently hosted during Bike Month. 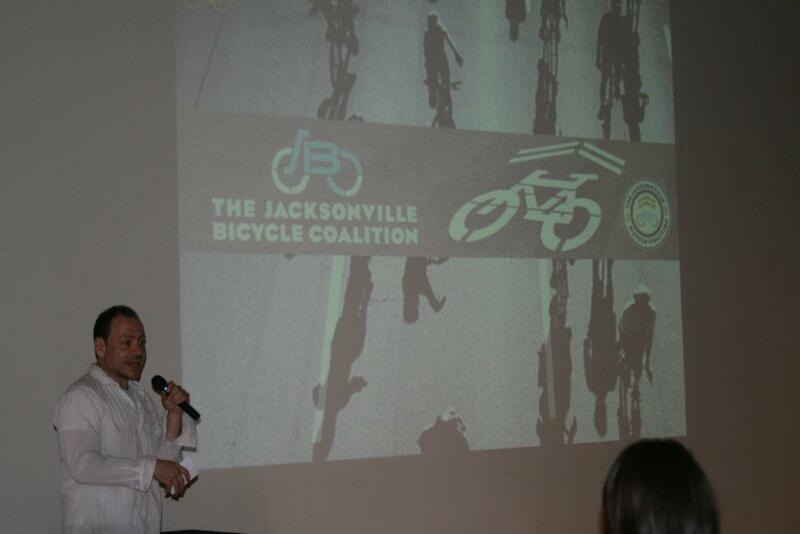 So Goliath took advantage and did a presentation on his perspective of the bike life here in Jacksonville. Boy was it a hoot! Chris LeDew and Raven Stands-Alone presented bike hikus, lovingly named “Bikus”, during Pecha Kucha 18 in March. Both presentations were total crowd-pleasers with cheers, hoots and hollers, laughter, and hearty applause to boot! Keep your ears open. 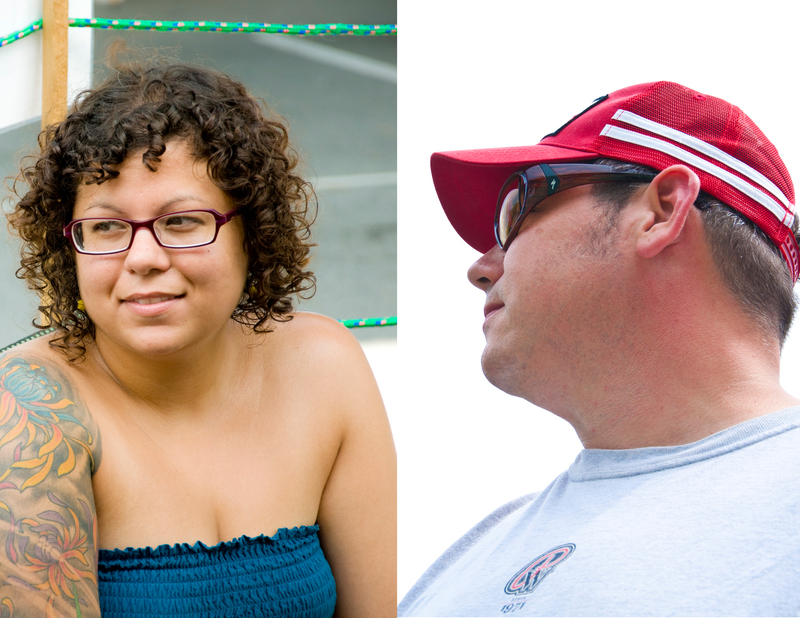 We may have another JBC rep presenting at Pecha Kucha 20! Lakeshore Schwinn’s Ride of Silence, downtown. JSO on what seemed to be a Ride of Silence for fallen police officers (?). The good folks at Lakeshore Schwinn hosts the Ride of Silence each year. Charlie, Cathy, and the rest of the gang launched from Lakeshore and bicycled up to the urban core areas in silence to honor our fallen cyclists. This date and time also coincided with another of what seemed to be a Ride of Silence by the JSO. 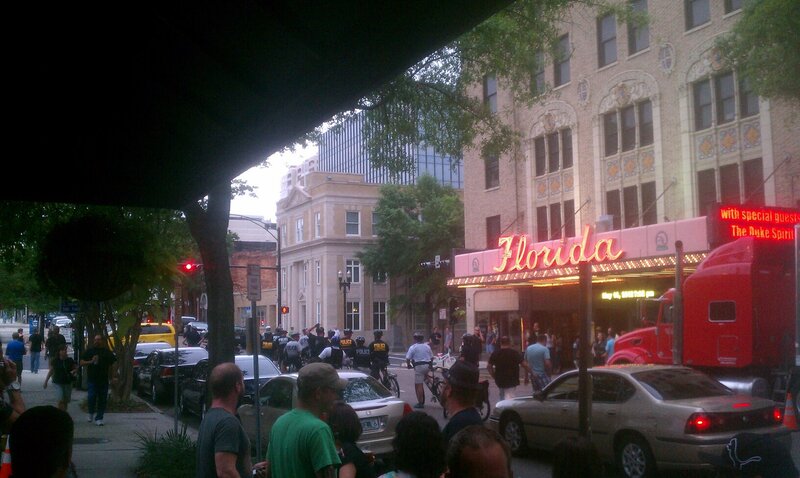 A whole horde of policemen and women were spotted riding bicycles in Riverside and Downtown. WJCT’s focus for the month of May largely consisted of Jacksonville’s transportation hazards, lack of transportation options, and poor reputation for public transit and dangers concerning our pedestrians and cyclists. 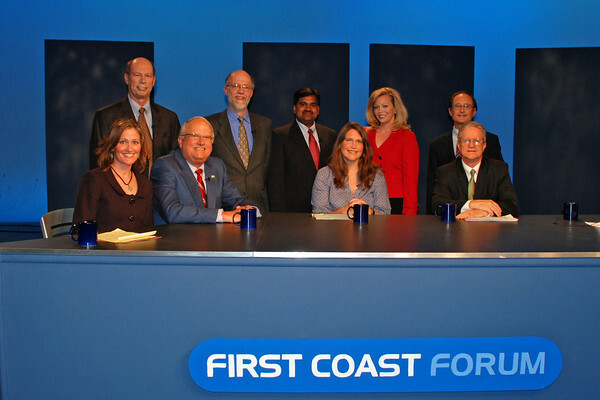 BPAC members, Stephen Tocknell, Valerie Feinberg, and Doug Skiles were some of the featured guests on this month’s First Coast Forum. They represented the pedestrians, cyclists, and children of this community perfectly! I wouldn’t have said anything any better, myself. And one of my favorite highlights of the show, Stephen said “Ride Bikes!” as a response to the question on how we can reduce traffic congestion. Thank you, Steve!!! That made my day, for sure. The American Diabetes Association’s Tour de Cure hosted routes that ranged from 5 miles all the way up to 100 miles, mapped all over the city of Jacksonville. The Zen Cog group, Raven’s Red Riders, made an appearance with cyclists of all levels, styles, and speeds. I missed out on a lot of events that took place this day. There was the Springfield Home and Garden Tour, Bert’s Birthday Challenge Ride, Cycling Savvy by the NFBC, and the Cabot Tour and Save the St. John’s Ferry Ride. Whew! Good job to everyone who was involved and kudos to Bert Shaw of the NFBC for being a badass, riding 84 miles as a tribute to another year older, another year wiser, another year surviving these mean streets of Duval. Abhishek tells it like it is to the Action News host, who also happens to be an avid cyclist, himself. 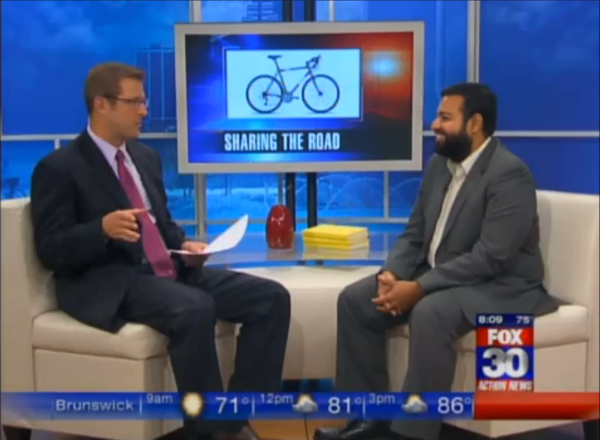 Abhishek Mukherjee was a featured guest on the Action News Morning Show, discussing Bike Month and Jacksonville’s poor reputation regarding cyclists and pedestrians. Abhishek gave insight to why it is Jacksonville is still so dangerous and what we can do to counteract that, including adding bicycle and pedestrian infrastructure to every new street design, public education, and hiring more staff to implement these ideals. Within three years time, Boston went from being one of the most dangerous cities in the nation to one that is far more friendly for cyclists. The Mayor of Boston at the time refused to accept that his city, the most beloved city in New England, was a bad place to ride a bike. Now if only we could get that accomplished here! The Coast N Swamp Ride also took place on Memorial Day, and was hosted by the North Florida Bicycle Club. This ride launched from Ponte Vedra and looped all the way to St. Augustine Beach and back. Combined with the coast and marshes, this is probably one of the most scenic rides in the area. 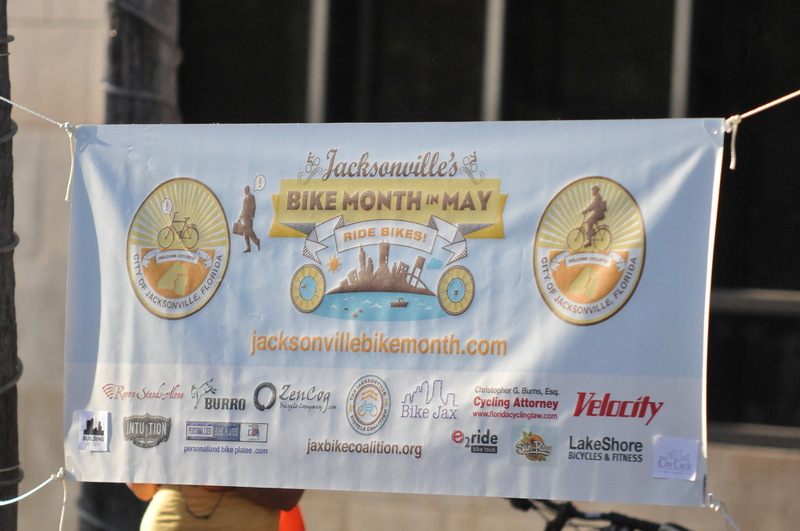 Thank you, again, SO much to all who were involved in some way with Jacksonville’s Bike Month, be it as a sponsor, a volunteer, an event coordinator, an advocate, or just simply as an avid bike rider. I regret having missed some of the events that took place and not mentioning every event in this blog post, but I do hope that everyone had a fantastic time. You all did me proud, and if the JBC has anything to do with it, next year will be even better!